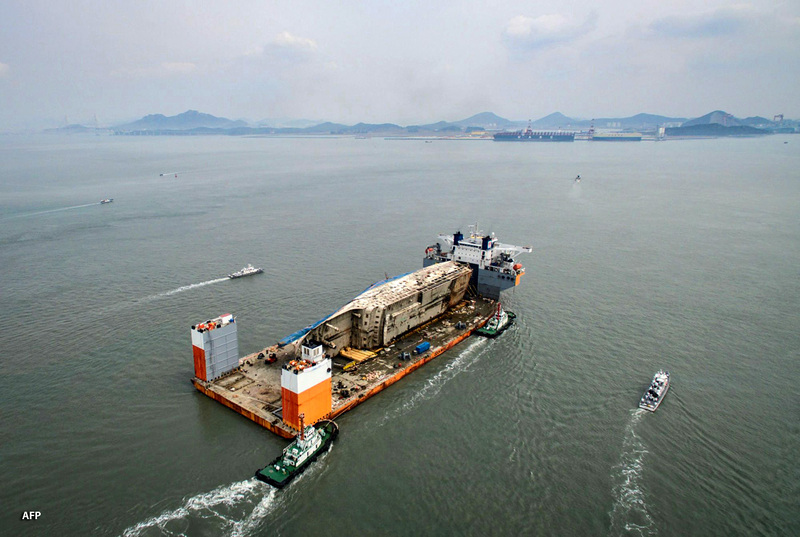 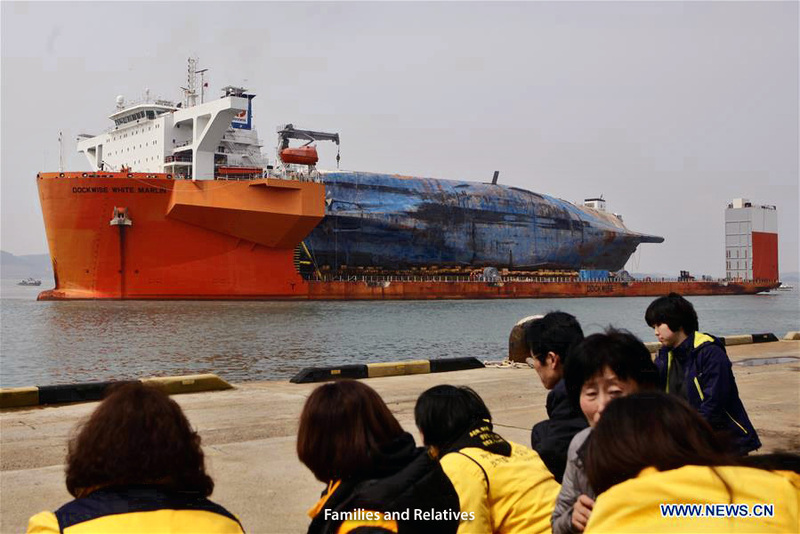 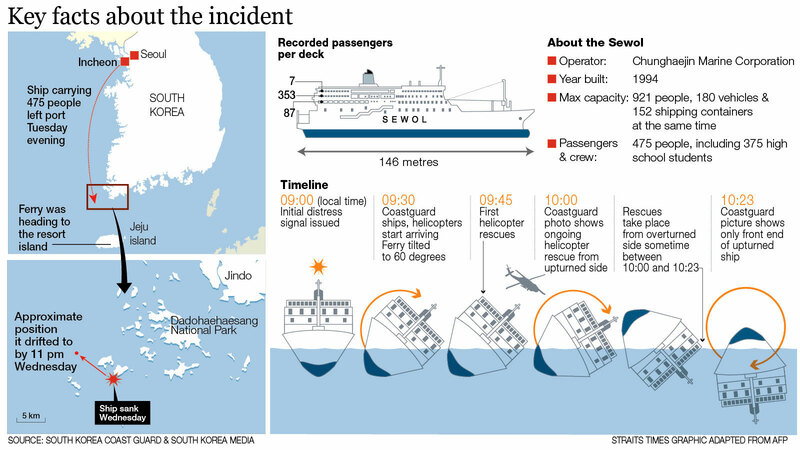 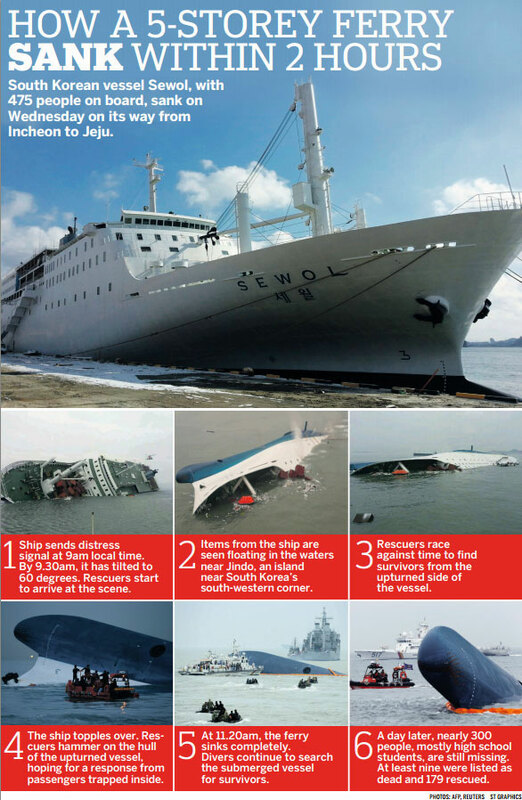 South Korean ferry Sewol (ro/ro) which rolled over and sank in nearly three years ago, with a loss of 304 souls, is leaving her watery grave in the Yellow Sea. 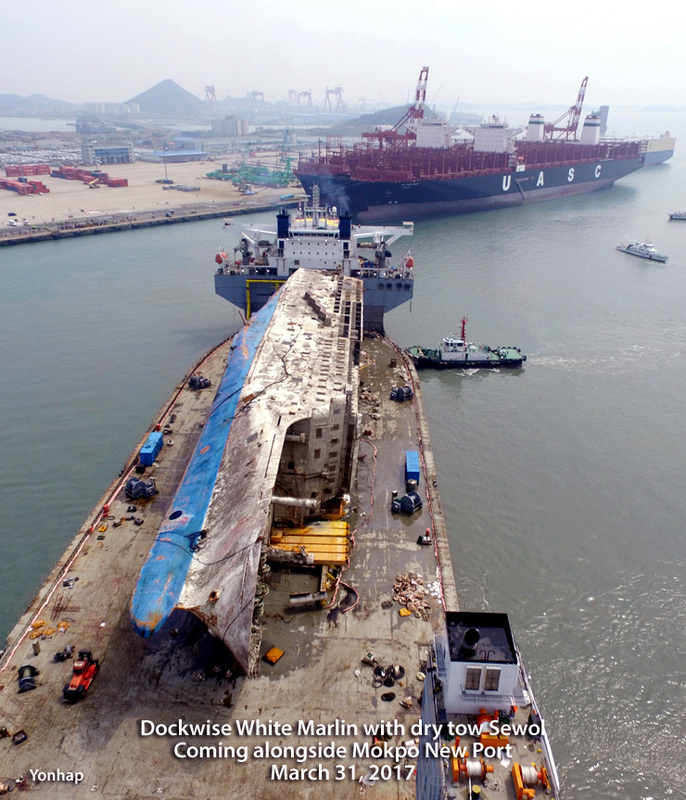 Thursday afternoon Pacific Coast time (3-30-2017), Heavy Lift Vessel Dockwise White Marlin picked up her ground tackle and began moving out of Maenggol Channel, enroute 105 km ( 65 miles) to Mokpo New Port. 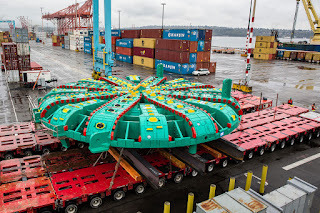 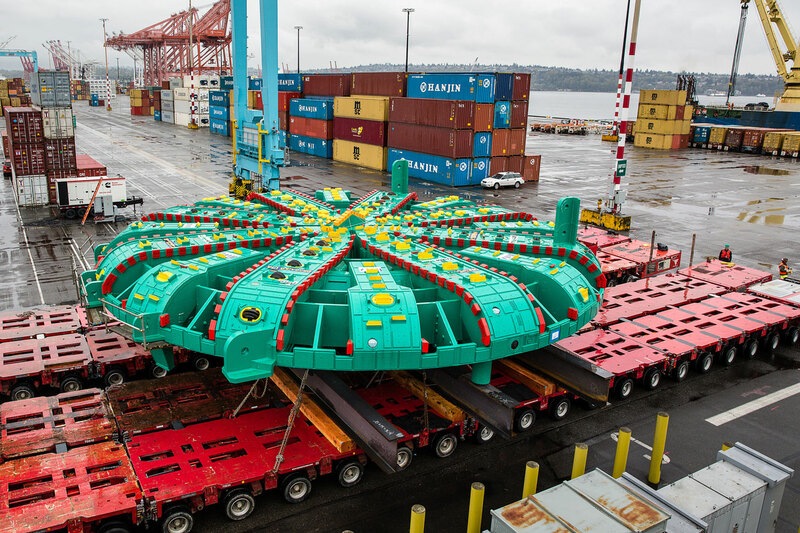 There she will be unloaded by an SPMT, Self-Propelled Modular Trailer, similar to the unit used to transport Seattle Bertha components, still resting upon the 33 lifting beams, into a secure area. 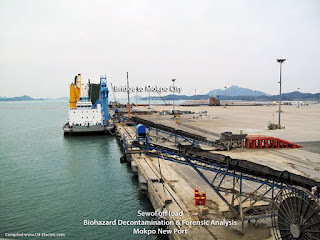 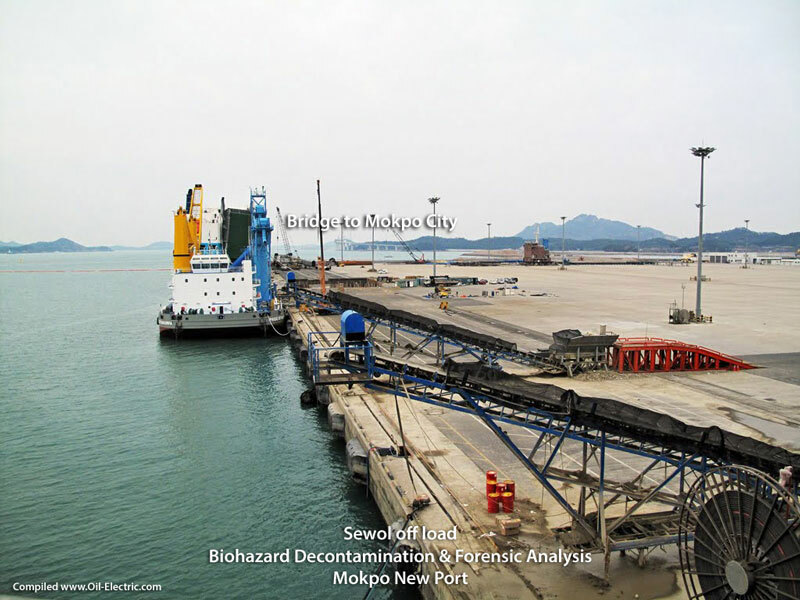 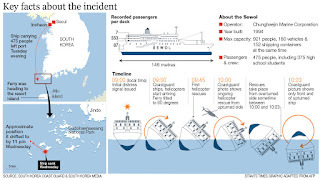 Considered a crime scene (bodies still aboard, with lawsuits pending) and a bio-hazard area (bodily contamination as well as gray water and other spoils,) the vessel will be heavily secured. March 31, White Marlin arrival at Mokpo New Port. Events are moving faster than I. Back story follows.